3 Rights: The term rights includes human rights as recognized in the Covenant and, more generally, in international human rights law. It may be legitimate to restrict freedom of expression in the cases of articles 25 (pertaining the right to vote. See Communication No. 968, Jong-Cheol v. Republic of Korea, ¶ 8.3) and article 17 (arbitrary or unlawful interference with privacy, family, correspondence, attacks on honor and reputation) when the expression involves, for example, “intimidation or coercion” (an example for article 25 is given), but such restrictions “must be constructed with care” (on “intimidation and coercion” under article 25, see Communication No. 927/2000, Leonid Svetik v. Belarus). See also General Comment 34, ¶ 28. 4 National security: Legitimate ground to ban speech only if the speech conveys “a perceived threat to national security (violent overthrow of the constitutional order [a crime under Uzbek legislation]) and to the rights of others” See Communication N0. 1233, AK & AR v. Uzbekistan, ¶ 7.2. Treason laws and similar provisions relating to national security, such as official secrets and sedition laws, also included as a legitimate ground. See General Comment 34, ¶ 30. Note: We won’t be analyzing “public health or morals” issues unless it’s a case involving an individual charged with incitement for criticizing or demonstrating against the government or a government policy. 4.1 Public order: It may be permissible to regulate speech-making in a particular place. For example, the Human Rights Committee has said that a legitimate ground to ban speech could be when such speech is considered “threatening, unduly disruptive or otherwise likely to jeopardize public order.” See Communication No. 1157, Coleman v. Australia, ¶ 7.3. Likewise, restrictions to freedom of expression could also be permissible in contempt of court proceedings when the court needs to exercise its power to maintain orderly proceedings. In this aspect, “the Human Rights Committee notes that courts notably in Common Law jurisdictions have traditionally enjoyed authority to maintain order and dignity in court debates by the exercise of a summary power to impose penalties for ‘contempt of court. '” See Communication No. 1189/2003, Fernando v. Sri Lanka, ¶ 9.2. However, in one contempt of court case, the Human Rights Committee concluded that the state party had violated article 19 of the Covenant “as the sentence imposed upon the author was disproportionate to any legitimate aim under article 19, ¶ 3.” See Communication No. 1373/2005, Dissanayake v. Sri Lanka, ¶ 8.4. Also see General Comment 34, ¶ 31. 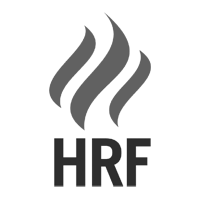 The Human Rights Committee has also found that laws of parliamentary privilege “can be seen as a legitimate goal of public order and an accreditation system [for journalists to access and report on the parliament’s sessions ] can thus be a justified means of achieving this goal” but that “its operation and application must be shown as necessary and proportionate to the goal in question and not arbitrary.” Therefore, “a State party is thus entitled to limit access” to the parliament as long as “any restrictions imposed by the State party must be compatible with the provisions of the Covenant.” See Gauthier v. Canada, Communication No. 633/95, ¶ 13.4, 13.6. 5 Necessity/ Necessary for a legitimate purpose: See General Comment 34, ¶ 33. See communication No. 359, 385/89, Ballantyne , Davidson and McIntyre v. Canada, ¶ 11.4. Note: Include excerpt. 6 Necessity/Only way to achieve protection: See Communication No. 359, 385/89, Ballantyne, Davidson and McIntyre v. Canada, paragraph 11.4 and General Comment 34, ¶ 33. Note: Include excerpt. 7 Proportionality/Restriction on expression should not be overbroad: See General Comment 34, ¶ 34. Note: Have yet to identify case law for this standard. 9 Proportionality/ Proportionate to the interest to be protected: “[t]he requirement of necessity implies an element of proportionality, in the sense that the scope of the restriction imposed on freedom of expression must be proportional to the value which the restriction serves to protect.” See Communication 1128/2002, Marques v. Angola, ¶ 6.8. 11 Causation: It’s always analyzed in the context of “necessity.” The Human Rights Committee’s General Comment 34 (para 35) highlights that “When a State party invokes a legitimate ground for restriction of freedom of expression, it must demonstrate in specific and individualized fashion the precise nature of the threat, and the necessity and proportionality of the specific action taken, in particular by establishing a direct and immediate connection between the expression and the threat.” See communication No. 518, Sohn v. the Republic of Korea, communication No. 926/2000, Shin v. Republic of Korea and General Comment 34. Also, the Human Rights Committee has observed in a case that “[…] it was reasonable to anticipate that there was a causal link between the expression of the author and the ‘poisoned school environment’ experienced by Jewish children in the school district.” In that context, the removal of the author from a teaching position can be considered a restriction necessary to protect the right and freedom of Jewish children to have a school system free from bias, prejudice and intolerance.” See Communication No. 736/1997, Ross v. Canada, ¶ 11.6. 39. On the issue of whether a “threat” needs to be a “threat of violence” to be prohibited under international law, the UN Working Group on Arbitrary Detention found that certain criminal offenses in Vietnam were “so vague that it could result in penalties being imposed not only on persons using violence for political ends, but also on persons who have merely exercised their legitimate right to freedom of opinion or expression.” Communication addressed to the Government on 15 March 2012 Concerning Le Cong Dinh, Tran Huynh Duy Thuc, Nguyen Tien Trung and Le Thang Long. No. 27/2012 (referring to the Working Group’s 1995 Vietnam visit).